Have you been keeping up with the celebrity baby boom this year? As Kylie Jenner announced her secret pregnancy and delivery, and Khloe Kardashian, Chrissy Teigen, and Jessie James Decker are all expecting, they might be stocking their diaper bags with. 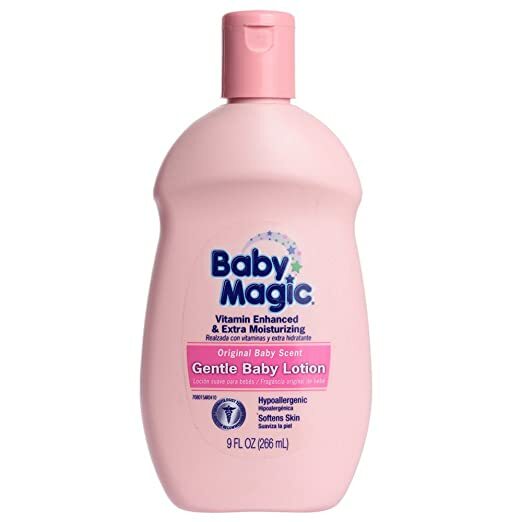 Baby Magic Original Baby Lotion – This original baby lotion has been the go-to hyper allergenic product for many years! The nourishing baby lotion is perfect for babies with sensitive skin. After all, no one enjoys a screaming baby with irritated skin!